Annelin Eriksen is Professor in Social Anthropology at the University of Bergen. She is the author of Gender, Christianity and Change in Vanuatu (Routledge, 2008), and her research mainly focuses on gender, social and cultural change, future, cosmology, and Christianity. Ruy Llera Blanes is a Senior Lecturer in Social Anthropology at the School of Global Studies, University of Gothenburg. He is the author of A Prophetic Trajectory (2014, Berghahn), and is editor of the journal Religion and Society: Advances in Research. Michelle MacCarthy is an Assistant Professor at Saint Mary’s University in Halifax, Nova Scotia (Canada). She is the author of Making the Modern Primitive: Cultural Tourism in the Trobriand Islands (University of Hawaii Press, 2016). 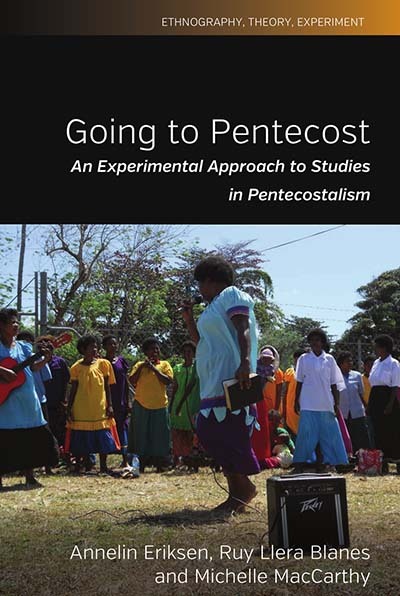 Going to Pentecost by Annelin Eriksen, Ruy Llera Blanes, and Michelle MacCarthy is available open access under a Creative Commons Attribution-NonCommercial-NoDerivatives 4.0 International License (CC BY-NC-ND 4.0) with support from the University of Bergen. Chapter 10. Wealth versus Money in Pentecost: Why Is Money Good?